Wireless market analysts iSuppli estimate that shipments of NFC-enabled smartphones will rise to 220 million units in 2014, quadrupling shipments from 2010.
iSuppli predicts that 52.6 million NFC-capable phones will have shipped in 2010, with adoption increasing in the coming years by way of support by mobile giants Nokia and Google. 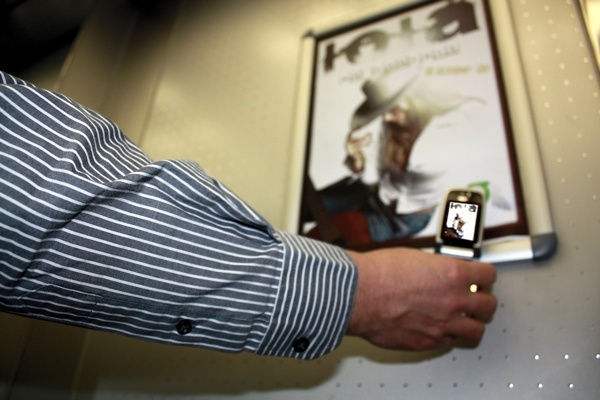 It is thought that in 2014, 13% of mobile phones will ship with NFC technology. Nokia recently announced that Near Field Communication (NFC) support would be incorporated into all of its new smartphones released in 2011, US mobile operators Verizon, AT&T and T-Mobile combined to develop a payment system based around NFC and Google recently launched its latest Android update which powers the new Nexus S smartphone, a collaboration between Samsung and the search giant. NFC is a versatile technology, it allows companies to integrate security solutions in restricted-access buildings, meaning employees can use their phone to get into secure offices or even use them in hotels or apartments to open doors. Coca-Cola recently announced it would be making its vending machines NFC-enabled. Business cards can be wirelessly exchanged, information downloaded from NFC-enabled media and posters, even initiating setup for other wireless standards like Bluetooth or Wi-Fi. Read next: Julian Assange sees himself as "A martyr without dying"